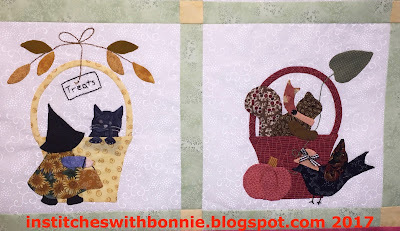 These blocks were a free block of the month from Bunny Hill Designs in 2009. Each block represents a month. I chose to put them in order. Looking back at the blocks I realize just how much work went into each one: all hand appliquéd, embroidery added and buttons and bows attached as needed. I'm pretty impressed with myself even if it has taken me quite a long time to finish. 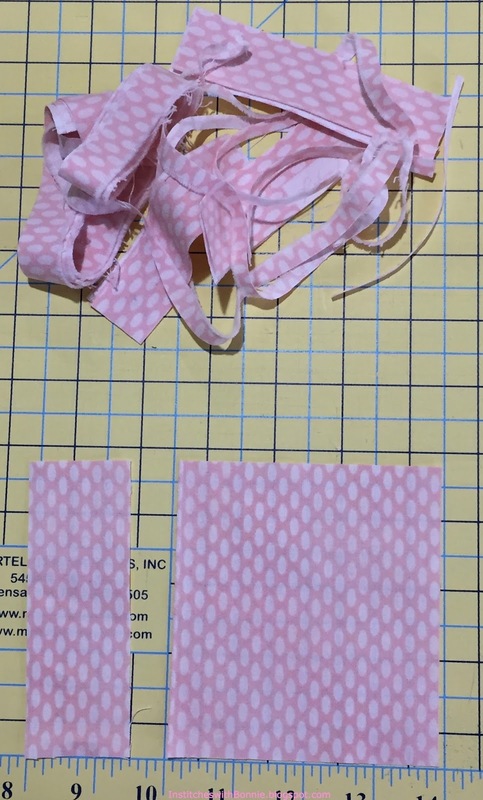 I just barely eeked out the rose colored and pink borders from the fabric on hand. Here's what is left from the light pink final border. And now, some close up of a few blocks. 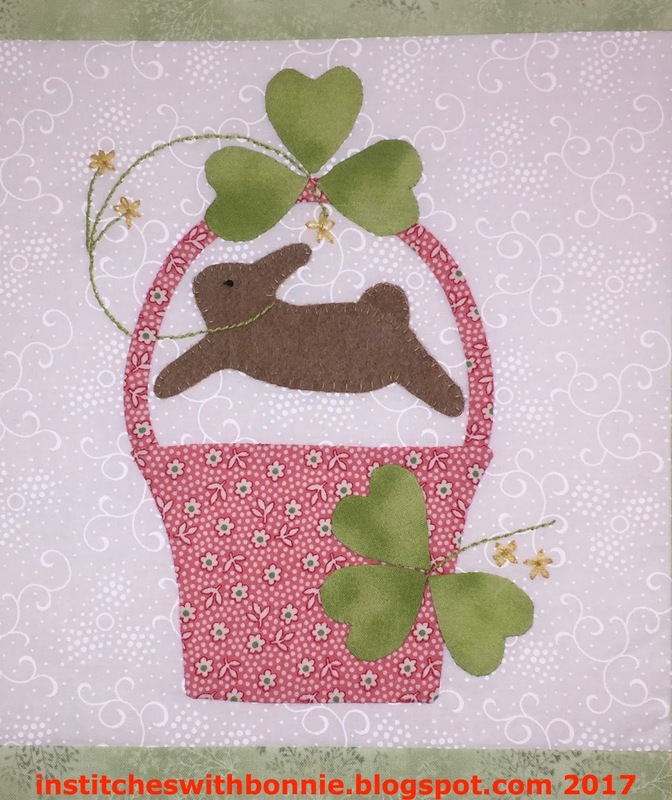 March block with a wool bunny and shamrocks. More wool for the April block. The October and November blocks both done with cottons only. Time for me to quit goofing off and start planning the quilting. I'll probably use a cream or white backing fabric since I have a couple of pieces that are just the right size. I'm not sure what I'm going to do for the quilting. Any suggestions especially for the white backgrounds? I will have to stitch in the ditch around each block. Hopefully the stitching will be really close to the ditch and look good. Then I'll need a plan for the borders. I'm linking up with March OMG Finish Linky party, Mid Week Makers and Needle and Thread Thursday. Great finish! Yes, I thought I recognized those blocks somewhere. LOL and I have a FQ of that pink in your March block. (g) BTW, I do love the photo in your header .......... just gorgeous. Fabulous finish! It's difficult to pick a favorite basket, but June's colorful basket and flowers caught my eye first. Nice job. Gorgeous!! Well done on meeting your goal and putting together a beautiful quilt top! Such a sweet quilt top! Thanks for linking up with Elm Street Quilts and congrats on your finish. 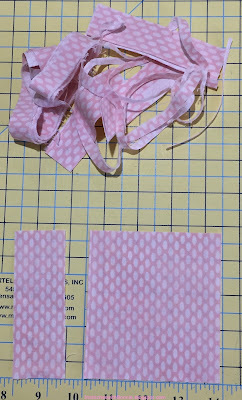 I just loved making these blocks--in fact I was looking at them today--I did individual ones for hanging--but would love to make them again and this time into a quilt--but not sure I kept the patterns when I moved! 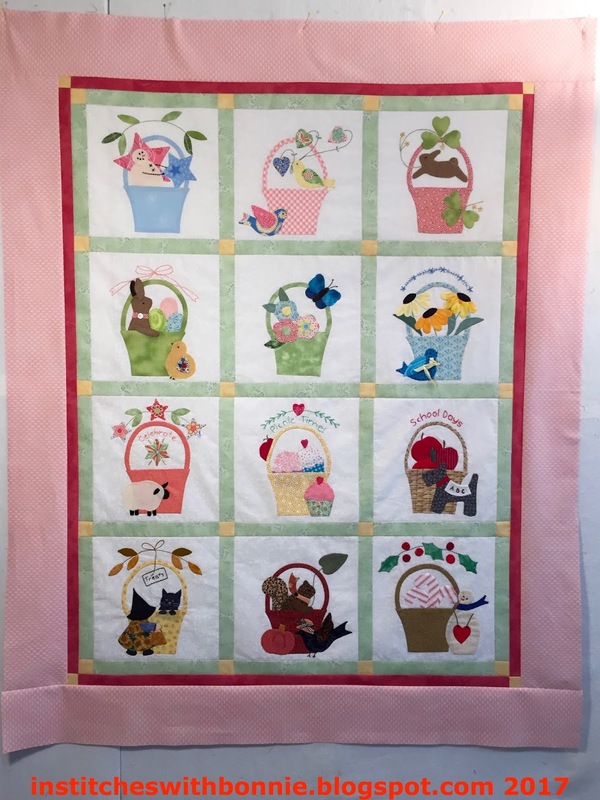 That is one adorable quilt! So much fun to look at all the different blocks - thank you so much for sharing it on Midweek Makers! This is a lovely quilt, some really nice fabric choices in the blocks. Congratulations on a finish. What an adorable finish! I did get mine done a few years ago--it was lots of fun, but a lot of work too! Oh so cute! Congrats on a lovely finished flimsy and on meeting your OMG. How do I miss so many great blog posts? I need to pay closer attention . 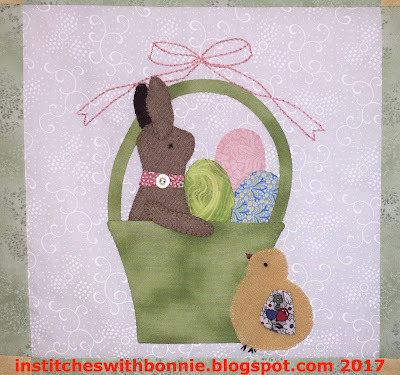 . . your bunny baskets are just charming! I'll be interested to see how you quilt this top, esp. with the wool and cotton mix.